Visit to Kazan, Tours to Kazan, incoming tourism and excursions in Kazan. Things to do in Kazan. We offer private guided tours in Kazan as well as tours for organized groups. Kazan is famous for its unique and distinctive culture, architecture and history. 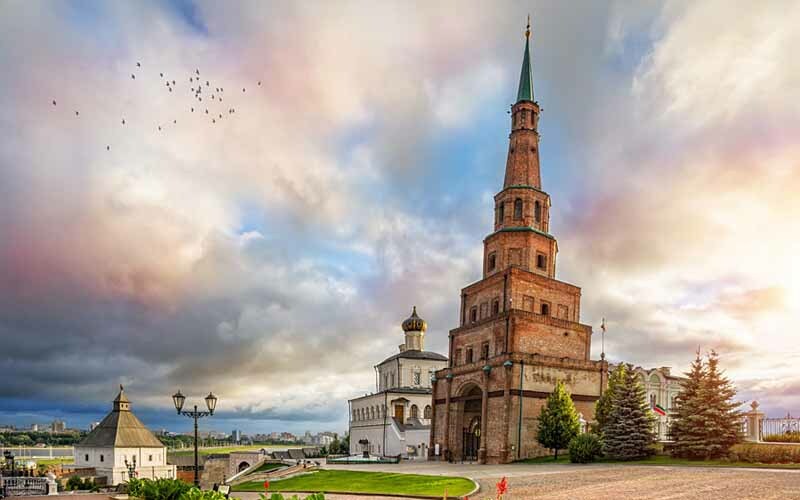 The best way to get acquainted with the mysteries of Kazan, without missing important details – book a guided tour to Kazan. Carefully planned excursions and tours of Kazan will be the best solution for organized groups and individual tourists. 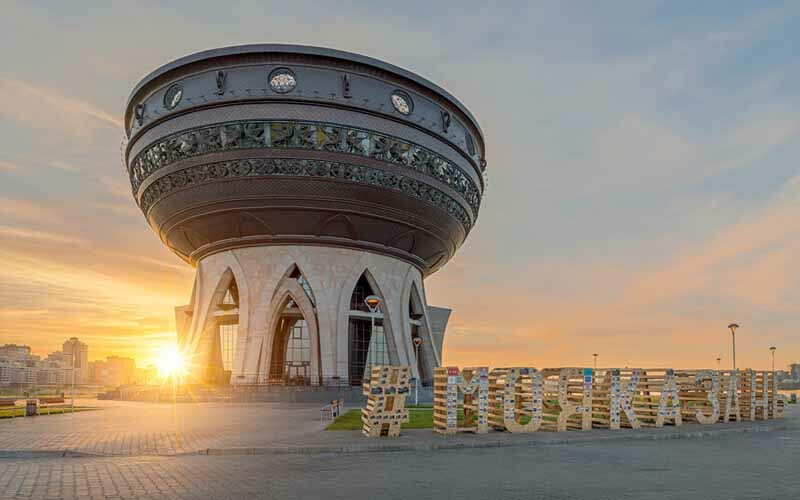 Guided tours include a visit to Kazan‘s most famous attractions – the Kazan Kremlin, Kul Sharif Mosque, visit the leaning tower Syuyumbike, old Tatar settlements and more. Sightseeing in Kazan. 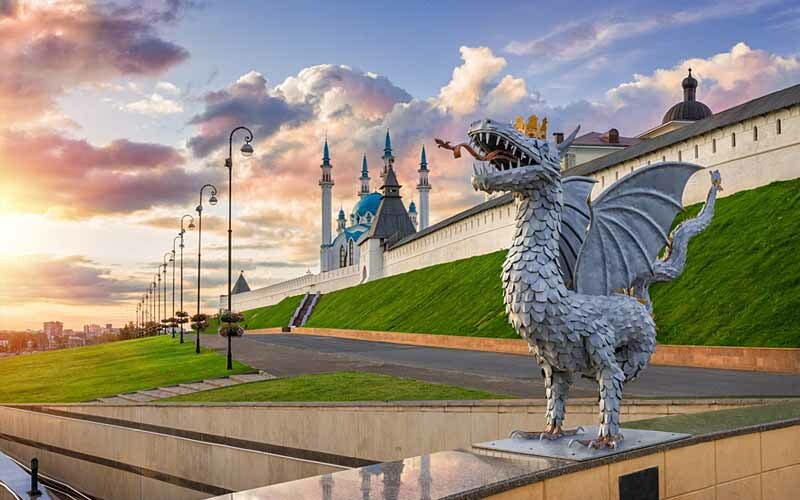 Attractions in Kazan. Kazan City Guide. Places and events in Kazan. Many Russian cities started with the construction of a kremlin and Kazan is no exception. This is where you should start your tour of the city. It’s the oldest building in the city and was rebuilt in the second half of the 16th century on Ivan the Terrible's orders. Postnik Yakovlev and Ivan Shiryai, the architects responsible for one of Moscow’s most iconic symbols - St. Basil's Cathedral - were involved in the construction of the fortress. In the 16th Century prior to the invasion of Kazan a mosque stood here which was named after its leading teacher Qol Sharif. Qol Sharif died alongside his students trying to save the mosque from the Tsar’s forces, but unfortunately it was destroyed in 1522 and for centuries the site remained empty. 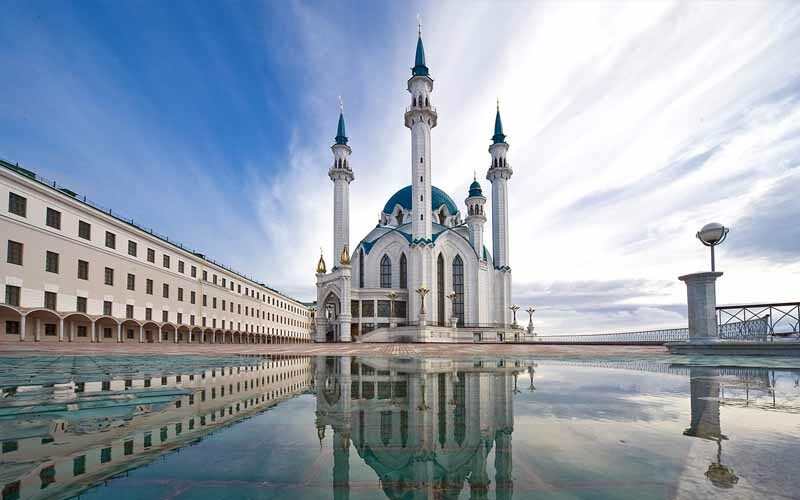 The impressive new mosque was finally inaugurated in 2005 when Kazan celebrated its millennium and now stands as a prominent symbol of the city, rightly recognised as one of Kazan’s most worthy sights as well as Europe’s largest mosque. The Qol Sharif largely functions as a museum although thousands of Muslims do gather here to pray on major religious holidays. According to legend, the tower is named after the only woman to rule the Kazan Khanate. Ivan the Terrible heard of Söyembikä's beauty and proposed to her, but she turned him down - so the Russian tsar threatened to raze Kazan to the ground. Söyembikä had to agree to marry him, but in return she asked for an unusual wedding present: A seven-storey tower to be built in seven days. Her desire was fulfilled and the tower was built one floor a day. On day seven the tower was completed and the wedding feast started. During the celebration Söyembikä climbed the tower and threw herself off it. 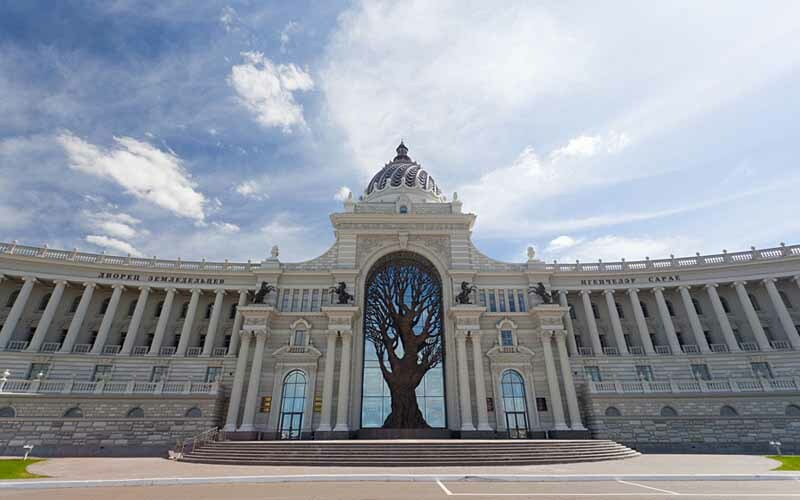 It’s situated in the grounds of the Kazan Kremlin. Its height is 58 meters and as of today it leans by two meters, like the famous Leaning Tower of Pisa. 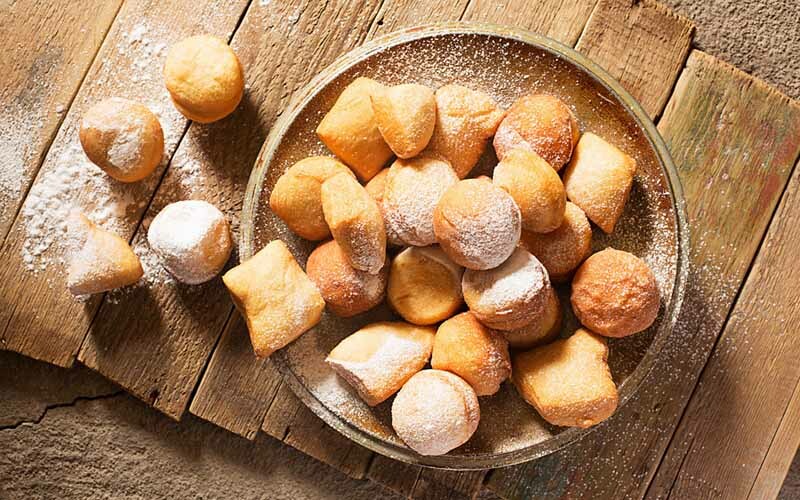 Echpochmak, smetannik, peremyach, bokkan, and baursak - you must try these! To appreciate real homemade Tatar cuisine and a Soviet ambiance at the same time, you can go to the Tea House at 64 Bauman Street. The place is indeed reminiscent of a Soviet canteen, but the locals are fond of it and many come here for lunch. 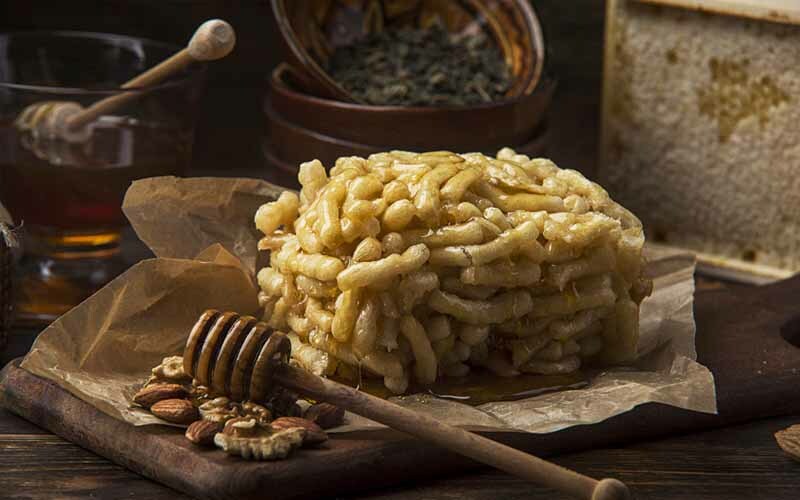 Don't forget to indulge yourself, your friends, and family, and buy the traditional Tatar delicacy chak-chak. It’s a national Tatar and Bashkir dish made from pastry with honey. You can buy it in many small shops around the city. 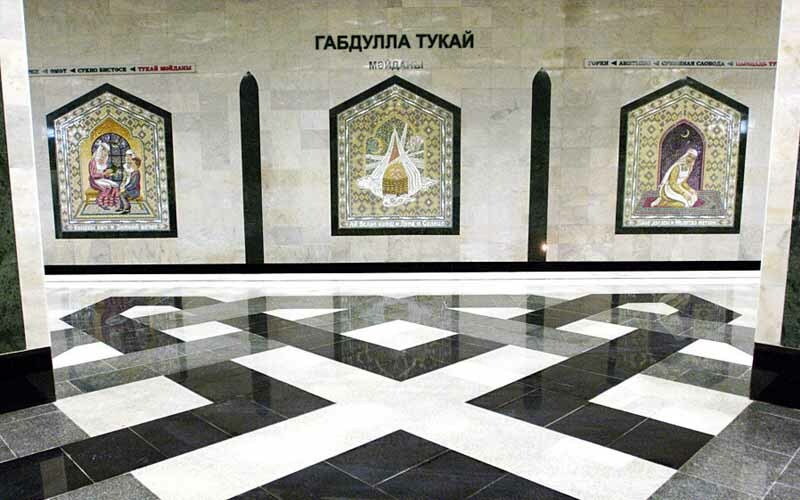 The Kazan underground is very small - one line and 10 stations - but in beauty it is well nigh on a par with the legendary Moscow Metro thanks to its unique frescoes and mosaics on the walls, stained-glass windows, and huge amount of marble in its cladding. By the way, the tokens that are used for travel on the underground are also available as souvenirs. This building proudly calls itself a "palace" and attracts tourists from all over the world. The Palace of Farmers houses the Ministry of Agriculture but not all locals appreciate its splendor: Activists campaigned against the modern Baroque Revival style during its construction from 2008-10. If you go through the park adjacent to the Palace of Farmers, you'll end up on the Kremlin Embankment. The best time to come here is in the evening. And if you’re lucky, you might catch one of the most fantastic sunsets you are likely to see. The Kazan Family Center, which is also a registry office, is situated on the other side on the River Kazanka. According to legend, the name of the city comes from the word "kazan" which means a "cauldron," and the building really does resemble a big cooking pot, symbolizing abundance and fertility. Along its perimeter the Kazan Center is guarded by winged leopards and Zilant dragons. Thirty-two meters up on the eighth floor there’s a platform that offers a panoramic view of the city's historic part. 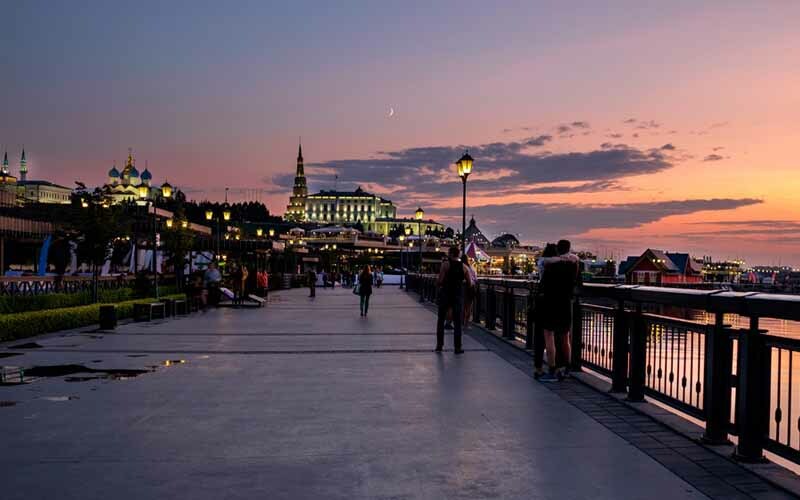 The view is particularly beautiful after sunset: All of the Kremlin buildings and the embankment are illuminated and the lights are reflected in the river. BienvenidoSPB Tours organize Russian tourism services, Russian sightseeing tours and Russian city tours all to allow you to have the perfect Russian vacation.